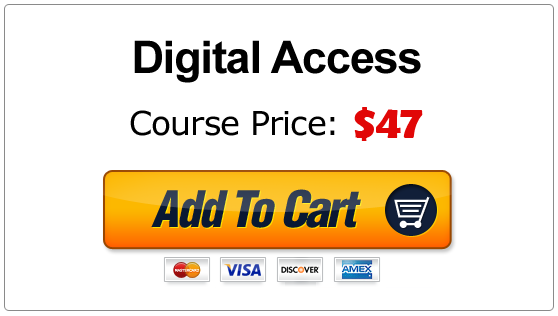 5 MORE Easy Blues Solos builds upon the concept of the original 5 Easy Blues Solos with even more of the best licks, tricks, and phrases of legendary blues guitarists without having to spend years in the woodshed to build up the chops. 5 MORE Easy Blues Solos contains 5 plug-and-play blues solos in common styles and keys of blues jams around the world and in your town. And the technique level has been kept as easy as possible so any intermediate blues player can be jamming along and sounding great almost immediately. Within a week of that course being released I was receiving emails and messages on the Blues Guitar Unleashed forum thanking me and telling me that this was exactly what they had been waiting for. Because I often say that learning to solo is a similar process to a baby learning to talk… but I didn’t realize just how far that analogy goes until my 8 year old came home from school one day with a poem to memorize for homework. Well… to put it simply it just ties it all together into a nice little 24 bar package of pure blues goodness. And now there are 5 MORE Easy Blues Solos for you to add to your own personal arsenal of solos you can pull out on the spot whenever you need them. Solo 2 – Often called a Blues Mambo this feel is one of my personal favorites and is similar to famous tunes like "Crosscut Saw" or "Messin' With The Kid." Solo 5 – Similar to tunes like "Walkin' By Myself" or "Statesboro Blues" this shuffle in E has what is commonly called a 'Long I' at the top with hits to give you some practice with this particular blues staple. If I had a nickel for every tune that does this in the middle or at the top... well you get the idea. As with all of my courses, 5 MORE Easy Blues Solos is guaranteed for 365 days. If you don’t absolutely love these solos I insist that you ask me for a refund! But I know you are going to love them as much as I enjoyed putting them together for you. 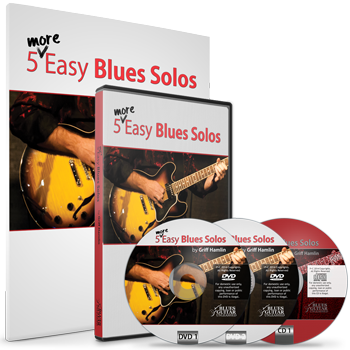 5 MORE Easy Blues Solo comes in 2 exciting flavors… traditional DVD and Digital Access. 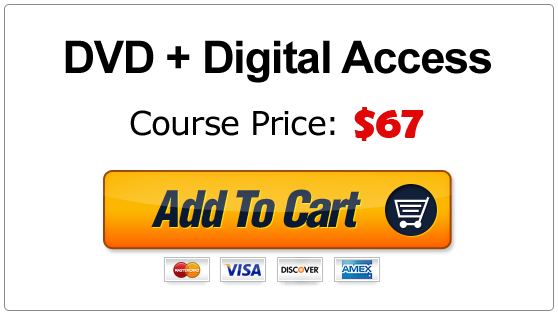 Digital courses are immediately available upon completion of your order, and there is no tax or shipping no matter where you live. 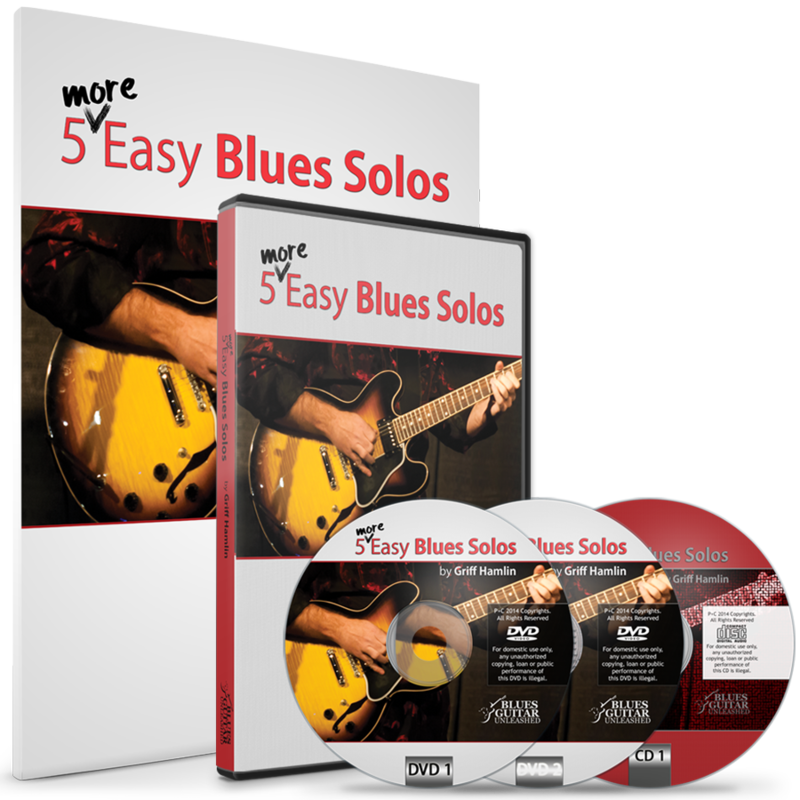 A digital version of 5 MORE Easy Blues Solos is included with all DVD orders in case you want to take advantage of it... but please keep in mind that video does take a lot of bandwidth and a pretty fast internet connection. To get your copy of 5 MORE Easy Blues Solos just click the yellow “Add To Cart” button below with your preferred delivery method. Within moments of your order being complete you will receive access instructions to the Member Portal via email. So you can be playing the blues in just a few minutes from right now!